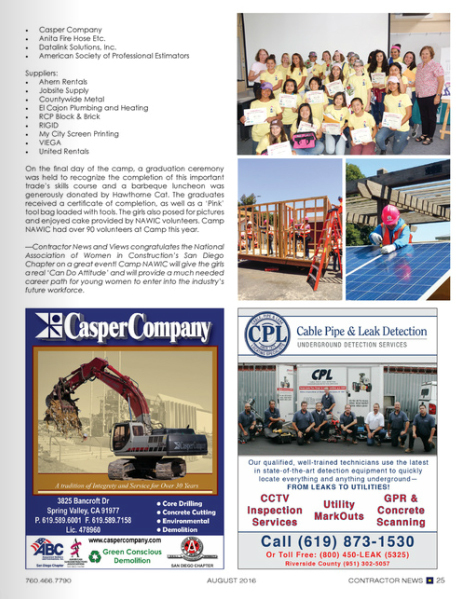 Camp NAWIC was featured along with photos in the August 2016 issue of construction industry magazine Contractor News & Views. Thank you to Mike and Sandy Caples for their coverage. Please enjoy the article below, and keep up to date by visiting the Contractors News & Views website for construction industry news.